Every Sunday I put a saucepan of quinoa on the cook because I know it will save me having to think about half-a-dozen meals or so during the week. As it’s a complete protein, I use it instead of meat for dinners and lunches, and I often have it for breakfast as it’s already prepped and ready to go. It’s versatile – it can be sweet or savoury – easy to use, and considering how many meals it makes, it’s cheap. People may balk at the cost of a bag of quinoa – at around $10 it’s certainly more expensive than rice or pasta but for me it’s far better value. A little goes a long way, it has a stronger nutritional profile than rice or pasta, and if you use it as a meat-substitute for your protein intake, then it’s cheaper. It’s well worth the effort to get to know quinoa and how you can use it. For breakfast: I do one of two things – either make up jars of quinoa and chia pudding the day before (see this recipe here), or I reheat the cooked quinoa in the saucepan, with coconut water, coconut cream, cinnamon, vanilla and sweetener of choice, and serve with berries, nuts and shredded coconut. Berry: into the blender, some (abt 1 cup) frozen organic berries (strawbs and raspberries), Natural Raw C coconut water (abt 1-2 cups), a pour of additive-free coconut milk, two finger pinches of shredded coconut, splash of vanilla extract, and a tbs of rice malt syrup if you need it. Blend until smooth. 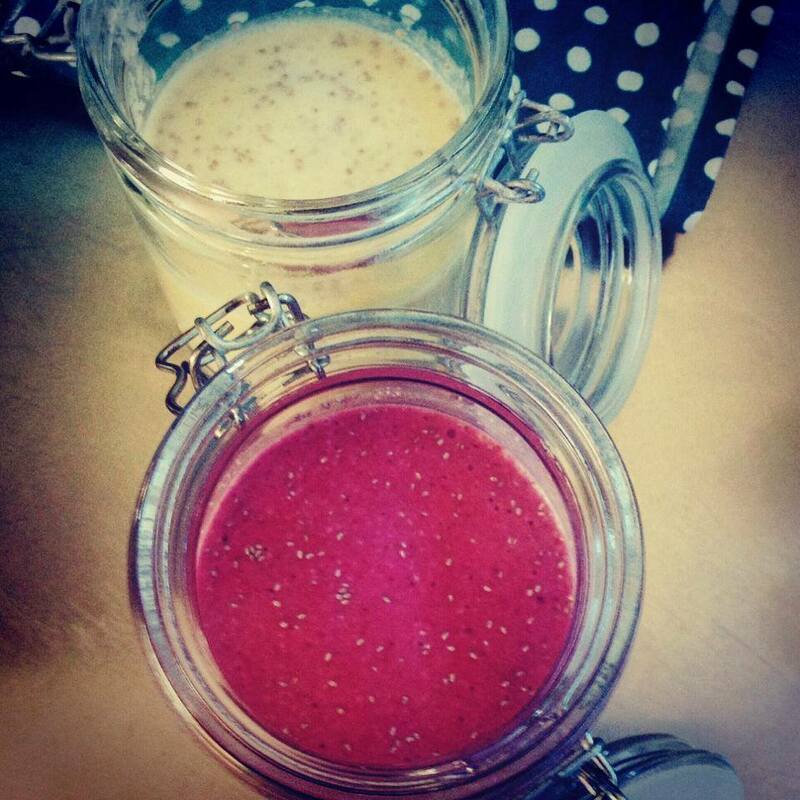 Pour into jar with a lid, mix through 2tbs chia seeds and 6 heaped tbs of cooked quinoa. Pop in fridge to set. Piña Colada – into the blender, a slab (abt 2-3cm thick) of fresh pineapple, peeled and core removed, cut into chunks, with coconut water, coconut milk, a handful of macadamia nuts, shredded coconut and rice malt syrup (again if needed). Then same instructions as above. For lunch: I add some heaped spoonfuls of the quinoa to some sauteed broccoli and other veg, with bone broth or tamari, added seeds and nuts or an egg. You can also whip up a quick quinoa and veg frittata – four eggs, leftover roasted veg or grated fresh veg, herbs of choice (rosemary is a good one), nutritional yeast or a little full fat organic cheddar and heaped tablespoons of quinoa (4-6 usually, mix should still be sloppy). Into a moderate oven until cooked through (abt 15-20 mins). 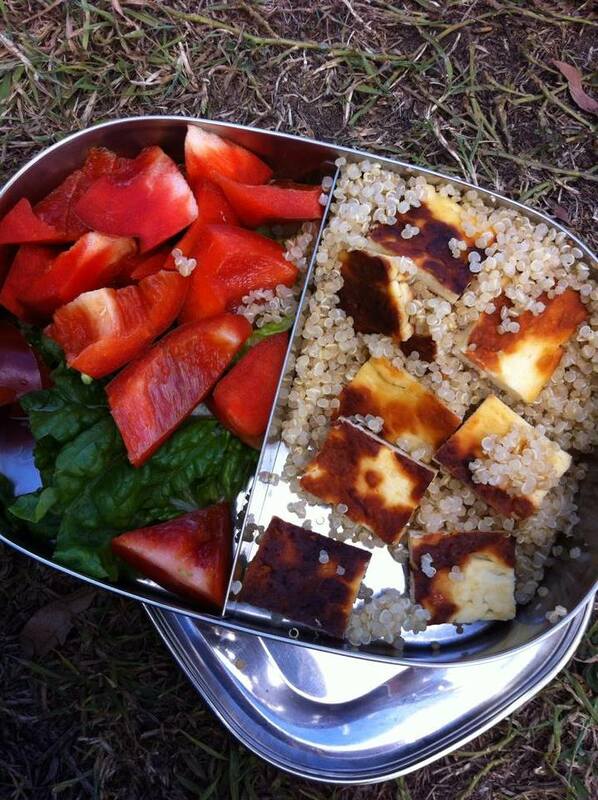 This is a good recipe to make on a Sunday afternoon/night and use for lunches during the week. Add it to your favourite salad mix. Goes great with tomatoes, cucumber, avo, spinach and flavourings of choice (olive oil, lemon and acv, or balsamic vinegar). For dinner: ‘Fried quinoa’ – essentially fried rice without the rice, using cooked quinoa instead. I use vegies like broc, peas, corn, capsicum, shallots etc, add a chopped 2-egg omelette, garlic, grated fresh ginger, cooked quinoa, fresh coriander and tamari and water. Add extra nuts and seeds for crunch. Roasted veg quinoa salad – roast your favourite vegies in a large dish with garlic and onion with rosemary and celtic sea salt. When done, add cooked quinoa straight to the roasting dish, steamed greens (broc, beans etc), dash of olive oil, apple cider vinegar, extra salt and pepper. A sprinkle of added almonds is always nice too. It’s also great to add to a soup – any vegetable-based soup can be beefed up with some cooked quinoa. For dessert: You can simply use the breakfast ideas for a dessert, but for something special, use it in a crumble topping. Mix cooked quinoa with your favourite nuts and seeds (roughly chopped), shredded coconut, a dash of sweetener (rice malt syrup or maple is best) and vanilla (powder or extract). In a baking dish place blueberries and sliced apple (or stone fruit as it comes into season) with a sprinkle of cinnamon over the top, cover with quinoa topping. Dot some butter or coconut oil over the top and into the oven to warm through and brown up. Serve with yoghurt, berries etc This is also a great after-school treat even served cold. If you can’t decide what to use it for straight away, freeze it in serving sized portions (either for one, or family sized) and it’s a handy stop-gap during a busy week knowing all you have to do is warm it up and add flavourings and vegtables for a quick, healthy dinner. So they’re some of the ways I use my weekly pot of cooked quinoa. I’d love to hear if you have some others you could add. Wow, some amazing ideas here Rachael. 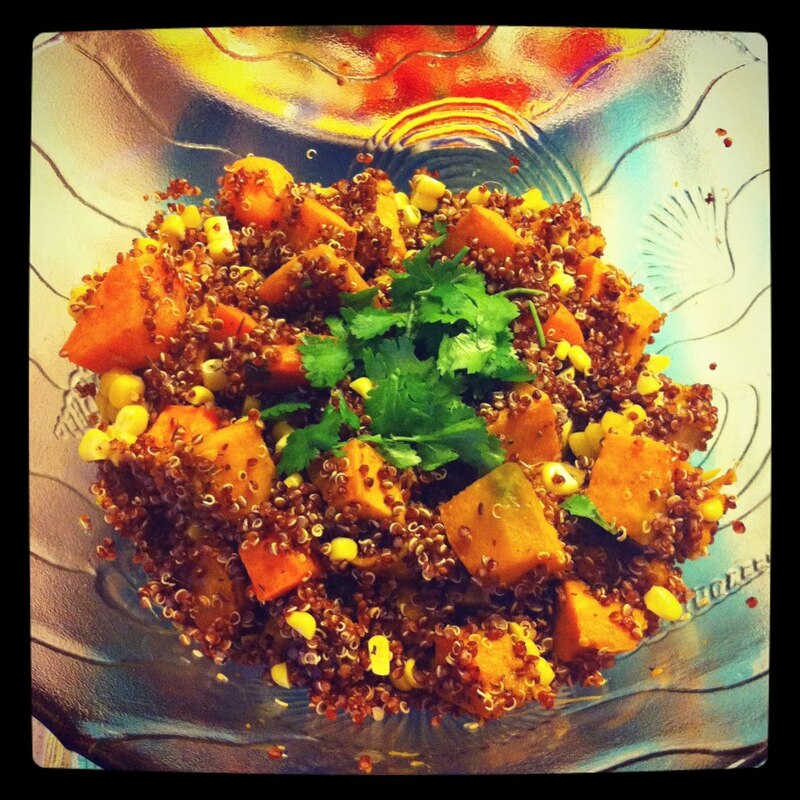 My previous quinoa efforts have been a bit of a dud, will revive my stash & try some of these!